A gel battery or a gel cell is nothing but a valve regulated lead acid battery, also known as VRLA battery. It consists of a mixture of sulfuric acid and silica fume as an electrolyte that gives it a gel-like feature. 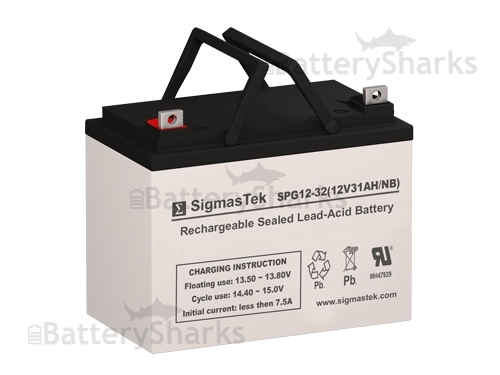 It is a sealed lead acid battery or SLA which makes it very easy to handle as it can even be kept upside down and still lead to no leakage. It is an improved version of the wet-cell battery as the electrolyte doesn’t vaporize or spill and it is much more resistant to motion, impact and can withstand very high temperatures. Thanks to the tight enclosed nature of this battery, it has become very popular and is used in many applications such as telecommunications, Uninterrupted Power Supply (UPS), wheelchairs and mobility scooters, solar and other high cyclical purpose applications. Gel cell batteries are more expensive than the absorbed glass mat batteries and there are some issues regarding its charging as well. These batteries have to be charged in a particular way otherwise they can fail prematurely. Gel batteries, however, last for a much longer time and are not hard to maintain. Another property of this battery which makes it very popular is the fact that when not in use for a long period of time, it discharges at a slow rate. These gel cell batteries are available in the market with different voltages and capacity and the cost of these batteries is directly proportional to both their capacity and voltage.